business for you and the others! Leadership is not just the ability to lead. It is the capability of owning your life and your actions. Leadership is about accountability and setting boundaries. It is also about vision and making things happen! Not just for you. But for everyone around you! That’s why leadership is more about influence and impact rather than “leading” without direction. A good leader has always a vision and a battle plan to make this vision happens. A leader is also the character who points out the direction even if you do not understand why you should follow him/her! But you know, deep down, that he/she has right, and you should have been a part of what’s happening! All these are leadership. And, probably, much more! Because at the end of the day, leadership is YOU taking the control of your life and start to design the life you want to live into or/and the business you want to work in! And these can be made possible if you design that you own your life and developing your unique path in life and in business. I do not pretend to have all the answers! Better still what I am saying is that I have many more questions related to my capability of bringing the results I want as well as the human ability to overcome its limitations and rise to new levels of existence. For me all these questions and the answers I can find out and employ to my life are leadership. Why I Wrote A Free Leadership Book? I am not a leader! This is a statement I should make from the start. But I am someone who, justifiably, can help other people realize their limits, understood their capabilities, set clear objectives for their life and business and understand the path to realize them. I am a person study a lot, reads a lot, and have a long, more 24 years of experience in directing, mediating, facilitating, consulting and coaching people and groups to achieve tangible results. During my path, I found many things about what people want and even more approaches on how people can chase their dreams. And the one lesson I learn hard is that there are no shortcuts. There are no magic recipes can make you a success overnight nor the super-duper formulas can make you $20,000 over the next 6 weeks, without a clear goal, a plan, and hard work. My working experience and my studies have taught me a lot of things, which if I had known them 25 years earlier my life would be much easier. Since, I haven’t met any similar guide (stating the obvious of what leadership is in an emphatic way, none the less) I decided to write one. 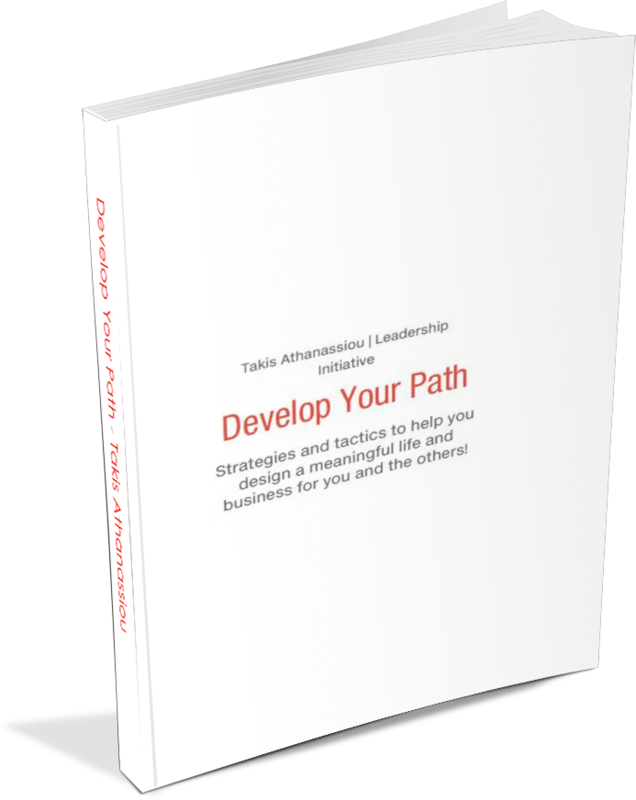 In that way, this free leadership book has born. As a small guide of what you can achieve if you know how! Why is this book free? Because leadership is of everyone and anybody should be able to use it to make his or her life a little better, and the life of the people around him/her a lot better. What Is This Free Leadership Book All About? This small book represents my notes on various subjects on leadership! It is not a theoretical research about what leadership should or ought to be. It is a practical guide full of strategies and approaches for everyone want to employ leadership as a standard practice in his/her life and business. If you invest some time to yourself and start reading this book you will find many things about yourself, you think was out of your reach. But that cannot be done automatically. It is a bargain, between you and me. It is something we can do it together. You agree to check on what I am writing and you agree to try some of the things I suggest to your own life. Is so simple as that. If you do not take the effort to do anything, do not expect something would change in your life or business. So, it is imperative to try and test some of the approaches described in this book in your own life. You should download it now, and start reading it as soon as possible. Keep many notes. And if you have questions, please communicate with me. You can get your free copy of the “Develop Your Path: Strategies and tactics to help you design a meaningful life and business for you and the others!” by fill in your name and your e-mail to the form below!